As January wraps up, Official FPL is reaching the crucial end of season run. The Official AFC Bournemouth League is also hotting up as the home stretch of the season approaches. With AFC Bournemouth’s historic 4-0 win over Chelsea on Wednesday evening as well, there’s plenty to ponder from a Cherries perspective in-game after Gameweek 24. 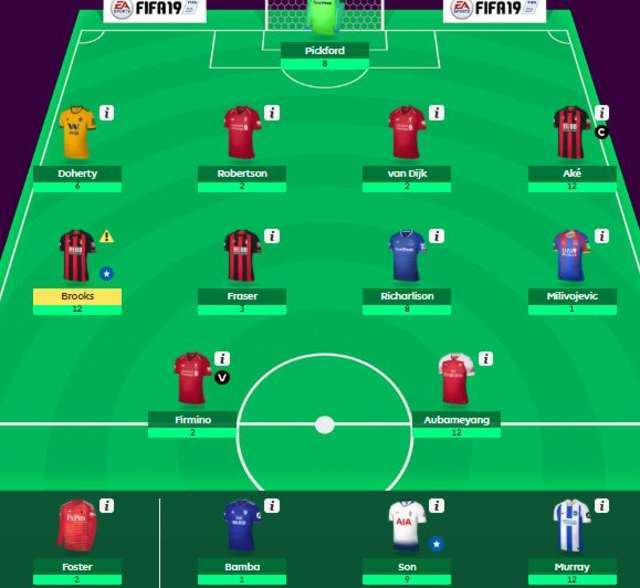 The top scorer in the Cherries league for the week scored a massive 92 points, and it was down to a Cherries player as captain. Lucas Czechak had David Brooks in his side who scored 12 points, but he captained – of all people – Nathan Ake! It wasn’t the worst decision in the world from Lucas either, with Ake’s clean sheet and captaincy securing 12 points. A well-used bench boost also saw Glenn Murray and Heung-Min Son score 21 points between them. Congratulations Lucas – our top scorer of the week! 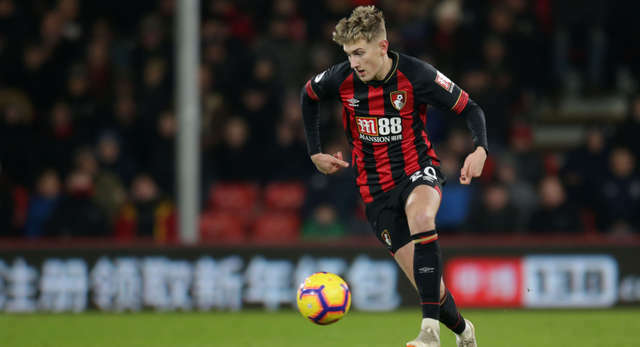 A remarkable result for AFC Bournemouth against Chelsea has given Official FPL managers some headaches, but also some rewards. David Brooks, priced at a snip at £5.1m, bagged 12 points in total as he played in a slightly different role directly behind the striker. He did limp off with an injury so that’s one to monitor on afcb.co.uk ahead of the weekend’s trip to Cardiff City. Popular FPL frontman Callum Wilson is out and manager Eddie Howe revealed he’ll be injured for a number of weeks, which means that Joshua King – who scored 16 points against Chelsea – looks set for a run of games in the number nine role. At £6.3m, he is owned by only 3% of managers, but if you fancy more of a gamble and an even cheaper option, Dominic Solanke may be one to consider. Priced at just £4.7m, the January recruit was on the bench against Chelsea as he nears full fitness. Joel Tesfai is still on top spot, after 41 points this week to take his total to a massive 1643. Hot on his heels though, are Robert Ziganshin and Gurbanmyrat Myradov who are over 40 points behind.